Toshiba Corporation is one of Japan's oldest and largest producers of consumer and industrial electric and electronic products. Toshiba Corporation's roots can be traced back to the Tokyo Electric Works Company formed in 1875. 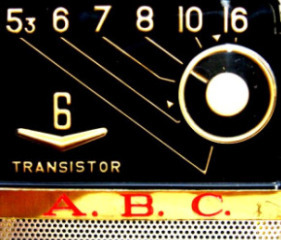 Toshiba produced their first radio, the 6TR-127 in 1957 and went on to design and manufacture many of the worlds most memorable and collectible transistor radios! Sony was founded in Tokyo in 1946 as Tokyo Tsushin Kogyo Ltd. 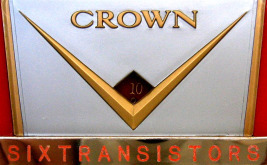 In 1955 they produced Japans first Transistor Radio less than a year after the release of the Regency TR-1, the worlds first Transistor Radio. 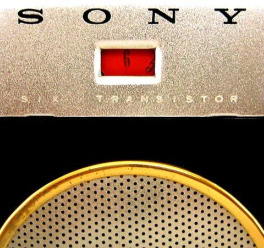 In 1957 Tokyo Tsushin Kogyo Ltd launched the TR-63 onto the American market under the brand name 'Sony' It was so successful that the company changed it's name to Sony. Featuring popular manufacturers & brands such as Crown, Sharp, Sanyo, Realtone, Zephyr, Global & others. Featuring 'boutique' brands and manufacturers such as Yaou, Yashima, Kobe Kogyo, Toptone, Constant & others. I know very little about the manufacturers of these particular radios and in most cases I don't know who the manufacturer is at all! If anyone can add to my knowledge bank then please do.